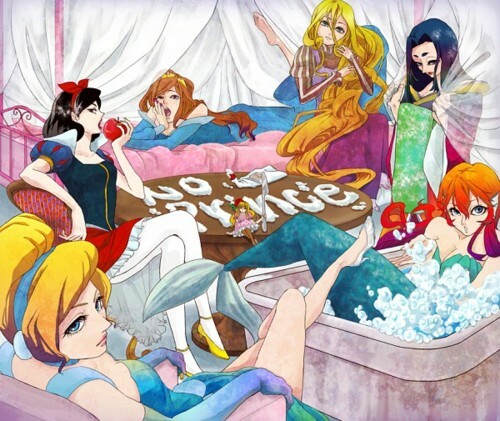 disney Princess anime. Yay disney Princess Anime!!. Wallpaper and background images in the putri disney club tagged: disney princess anime disney walt disney princess. This putri disney fan art might contain anime, komik, manga, and kartun. They made Aurora a brunette and Mulan ugly. (At least, I think it's Mulan) But other than that, not bad. Interesting that it say "No prince" in the middle. Reminds me of Bleach. Nice though.